What does inequity look like? Here at the Mailman School, students are trained to work with data, measure, and analyze disparities on the population level, and to work with communities to improve their health. But bearing witness to injustices can also be very specific and personal: we know it when we see it. 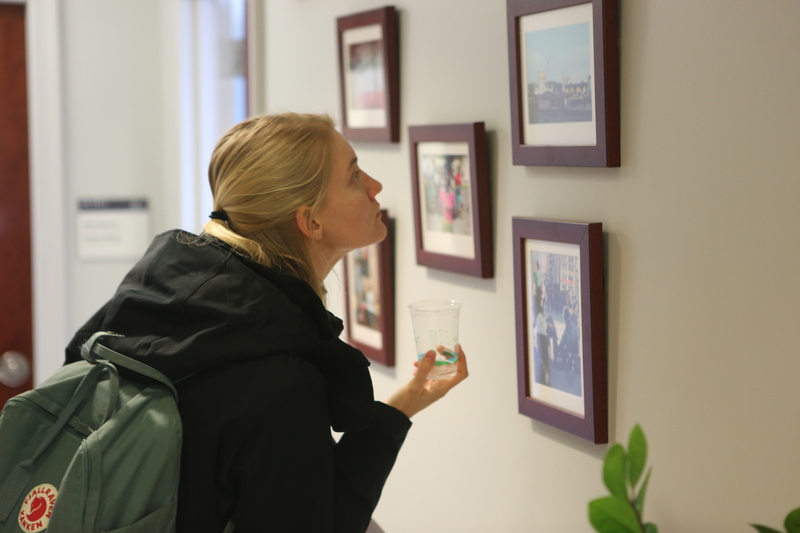 Examples of these kinds of images can be found in photographs by faculty and staff currently on display on the 14th floor of the Allan Rosenfield Building, the culmination of the Witnessing (In)Equity Photo Contest organized by the Office of Diversity, Culture and Inclusion. Announced in September, the contest challenged the Mailman community to document both social inequities and health disparities, as well as their opposites, observed in their local neighborhoods, daily experiences, and world travels. Reflecting the School’s global engagement, the photos represent five countries outside the United States. 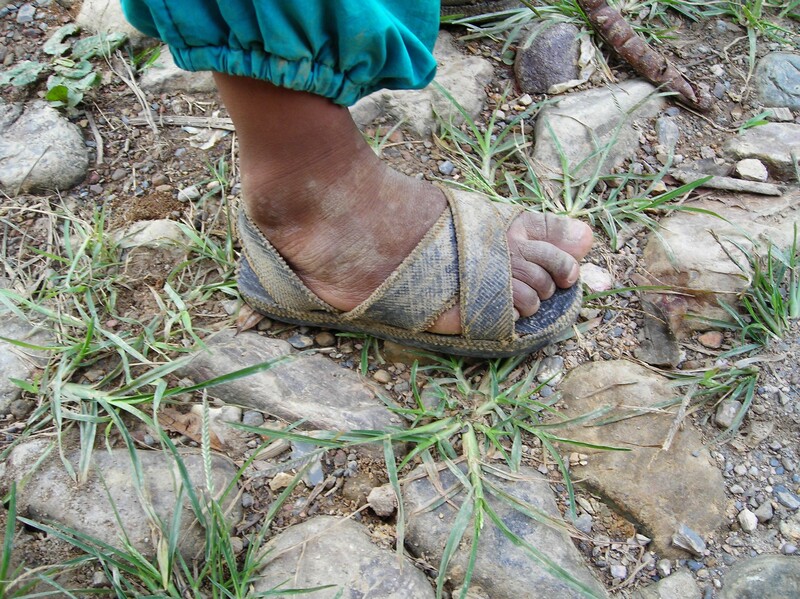 A photograph by MHA candidate Omar Jimenez taken in his native Boliva depicts a child’s dirty foot clad in sandals made of repurposed car tires, putting him at risk for parasites. An image captured by MPH candidate Thomas Carpino shows a New Yorker in a subway station surrounded by bags of empty bottles and cans with a poster for the Tom Cruise blockbuster “American Made” over his shoulder. MPH candidate Anna Hoover and ICAP communications staffer Hugh Siegel each contributed portraits of a mother and child, one taken in Mozambique, the other in India. A second photo by Siegel shows health workers unloading boxes of condoms from a boat in Lake Victoria, Tanzania. The winning photograph (pictured left), taken by MPH candidate Ethel Angeli T. Roxas during her summer practicum in the Philippines, highlights a housing disparity. 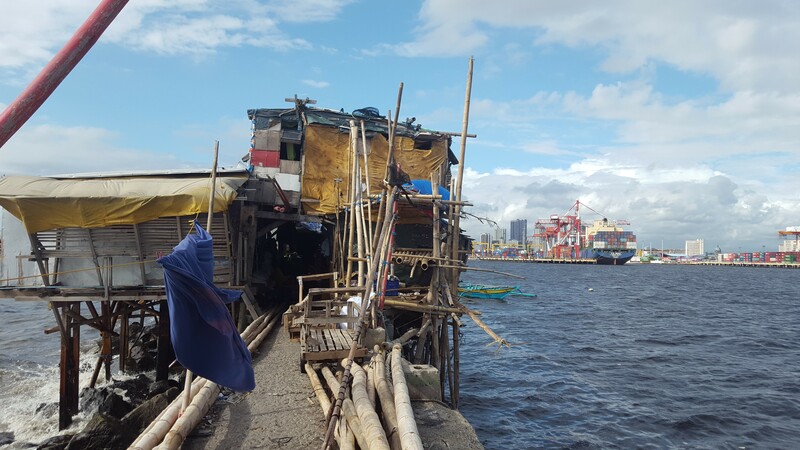 Titled “Life on Stilts,” the photo depicts a barong-barong, a small home cobbled together with scrap metal, wood, and tarpaulin, perched over Baseco Bay, one of the communities served by Likhaan Center for Women’s Health where Roxas worked. Looming in the background is the modern skyline of the booming Manila neighborhood of Makati City. See more pictures from the Witnessing (In)Equity Photo Contest.